This is the second blog post from our guest blogger Dóri Sig. Dóri is a fellow Icelander and he is also a bit of a legend. His coverage of the protests that accompanied the Icelandic crash is unique and he is also an accomplished photographer and traveler. Here is Dóri on CNN explaining the rioting in 2009. Previously he has blogged about the lonely mountain Hafursey and the divine Ásbyrgi. The best secret in Iceland is the Westfjords. It has spectacular scenery and landscape everywhere you look. On the south part of the Westfjords is Latrabjarg, a 14 kilometer long cliff. The highest point of this westernmost part of Europe is 441 meters. 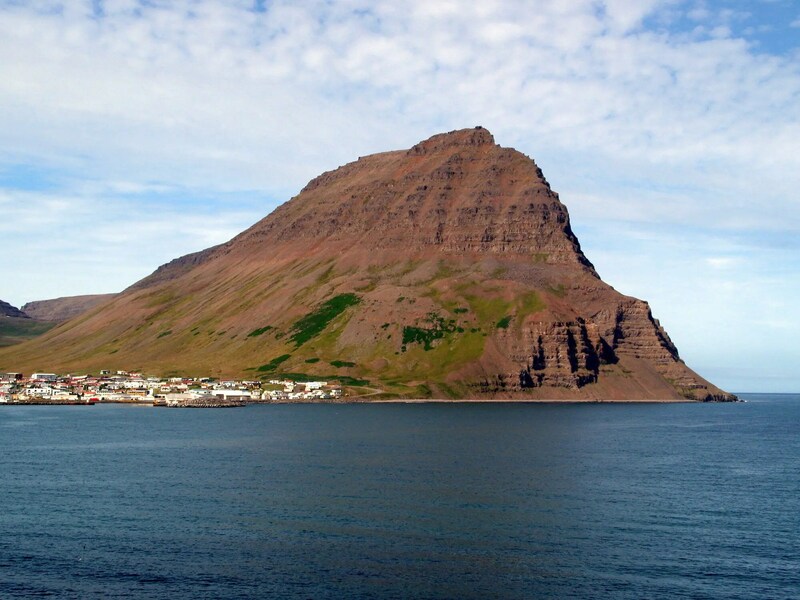 The biggest town in the Westfjords is Isafjordur. The locals sure know how to know how to have fun. In the first weekend in august every year they have the Swamp Soccer tournament. If you take part you will get dirty but you will also have a lot of fun as you can see on this CNN video. Video: Girls play world class swamp soccer! And if you fly to Isafjordur you will love the the approach, it is one of the more difficult airports in the world. In the video below you can see the approach to Isafjordur. Fly into Isafjordur from Reykjavik (!) or drive on highway 1 and turn on road nr. 61. Check out some of the attractions in the Westfjords section of our blog.